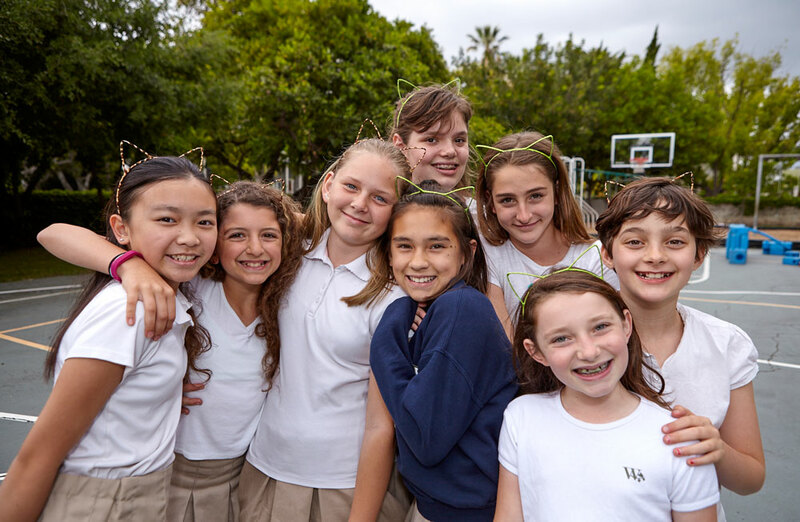 In Lower School, girls are fully supported as they build confidence and develop a strong sense of self. Our Lower School curriculum focuses on building a solid foundation for knowledge and skill acquisition, and our teachers engage students in the learning process. While our teachers do share their expertise in subject matter and are phenomenal story-tellers, they also serve as coaches in the classroom; they prepare students to respond effectively, encouraging them to interact with learning in a way that makes sense and becomes part of their knowledge base. In Lower School, our students trust that they can take risks in the classroom, as teachers encourage asking questions for clarification, curiosity, and true understanding. Lower School girls are trained to think like scientists, to write substantial narratives, and to empathize with their peers. They also learn people skills, and as a result they know how to be a friend and how to have a friend. With so many advancements in education and teaching methods, we engage our students far past the textbook. From small group discussions on poetry to Experiential Week in San Diego, we focus on messages that are core and compact so they are easy to understand. 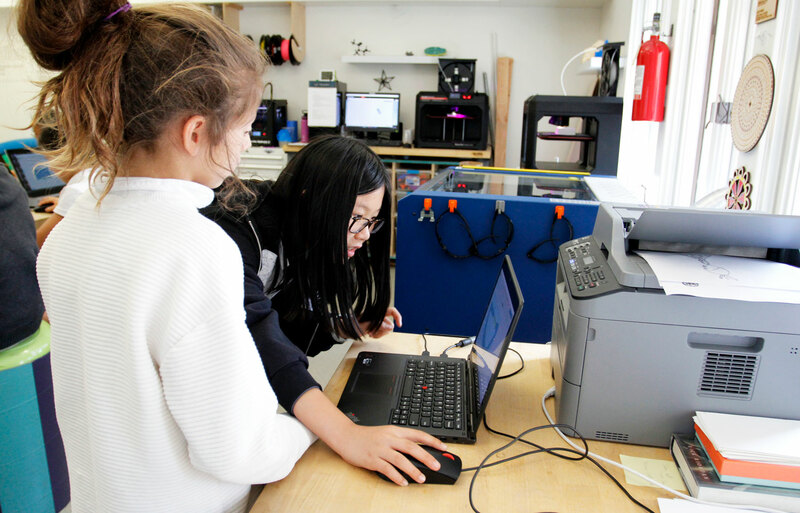 To further enhance the learning experience, technology is integrated into all subjects taught in the Lower School, many in our STEAMWork Design Studio. Learn more about our program below or schedule a visit! In the Lower School, we believe the classroom should be a place of discovery, invention, reflection, and problem solving. We also believe our Lower School should be a place for girls to make memories and learn life lessons. In Lower School, girls develop an appreciation for and understanding of a wide range of literature. They access this deeper understanding through foundational word study (spelling, grammar, and vocabulary), Writer’s Workshop, and small group discussions on poetry and Socratic discourse. They also develop their voices through their own daily writing and conscious engagement with the writing of others. They write for a variety of purposes, use written work to articulate a point of view, share information, and engage their world creatively. Girls also learn to appreciate the role that language plays in understanding all the disciplines, from solving problems in math to exploring the literature of other cultures, both past and present, to articulating the beauty of science. From learning to read aloud with fluency and affect, to developing a speaking voice and skills in dramatic presentation, we offer a wide range of opportunity to develop skills in public speaking. Through the exploration of social studies, girls gain knowledge and understanding of how peoples of the past and present have been shaped by geography, history, belief systems, economics, socio-political systems, and culture. Students participate in activities, trips and explorations that help them develop greater understanding and empathy towards others and strengthen a sense of connectedness and responsibility for their local and extended communities. Problem solving lies at the heart of the Lower School program. We teach girls to master basic skills and knowledge so they are comfortable computing with abstract and complex concepts. Math instruction provides a balance between the acquisition of basic concepts and the study of real-life math requirements such as estimating, mental math, and computer use. Through the study of economics, we teach girls about consumerism, finance, and the global marketplace. In this challenging program, girls learn to explain their reasoning in solving problems and discuss multiple methods for finding solutions. Students are free to stretch their understanding in an atmosphere that values trial and error and deep learning. Lower School Science is a non-textbook based program that continuously incorporates the evolving world of science and technology. Classes meet every other day for an hour with labs every week. 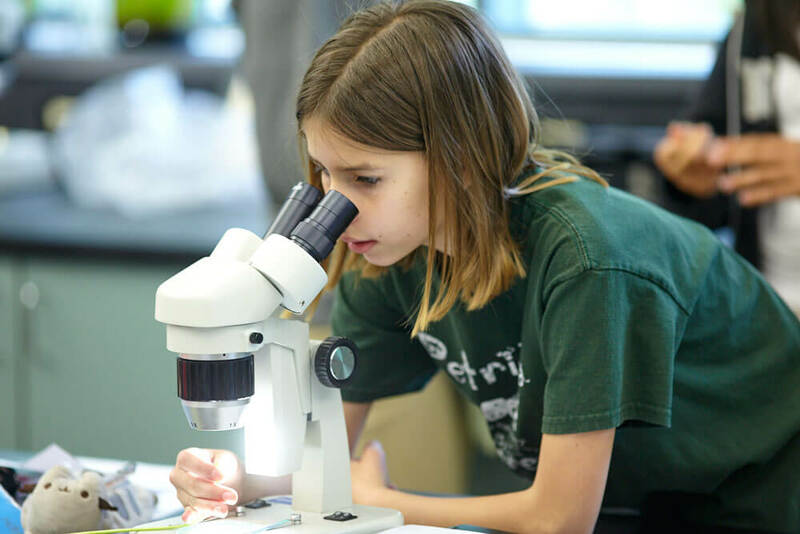 Beginning with an immersion experience in the 4th Grade, students practice what it means to be a scientist through an engaging, hands-on, lab-based curriculum that explores topics in both the physical and biological sciences. The 4th Grade science curriculum exposes the girls to many of the tools that scientists use to make observations and collect data and instills the habits of mind which successful scientists use on a daily basis. Highlights of the 4th Grade science program include the Metric Olympics, Introduction to Chemistry, California Ecosystems and performing field work as a Botanist. Fifth grade science focuses on life science, space, and engineering, culminating in the Engineering & Design Team Challenges. Students learn the value in working collaboratively and to solve problems in innovative and creative ways. This re-imagining of the traditional “science fair” celebrates the process of science, rather than the product. 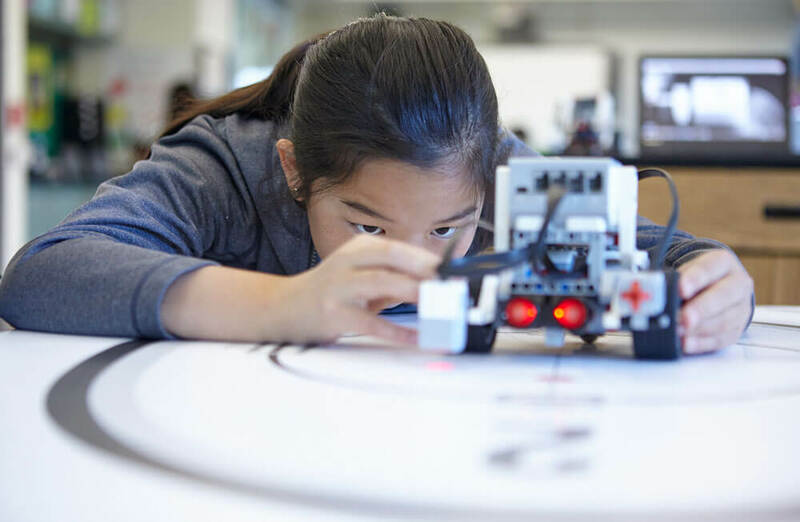 Girls gain confidence that they can solve problems and become the future of science. In the 6th Grade, our faculty works closely together to incorporate science into an interdisciplinary understanding. Sixth graders make connections between science and humanities, math, technology, and Spanish. Highlights of the year include dissection, computer programming and robotics, independent research projects and celebrating women in science. Westridge is committed to providing learning opportunities that produce technology-capable students who learn and live successfully in today’s increasingly complex and information-rich world. Technology is fully integrated into all subjects taught in the Lower School. In the 4th Grade, students attend Computer Science class where some of the topics covered include: how computers work, Photoshop, safe and responsible use of technology, Excel, searching online, and robotics. The 6th Grade team is committed to developing the 1:1 tablet program in order to create an enhanced and personalized learning environment for our girls. In order to facilitate an interdisciplinary curriculum, every 6th Grader is assigned a personal tablet device to use throughout each of her classes. In science, tablets are used to facilitate collaboration, encourage digital communication, and to find information and resources pertaining to topics of interest related to the unit of study. Spanish begins in the 5th Grade in a language-rich, dynamic environment. 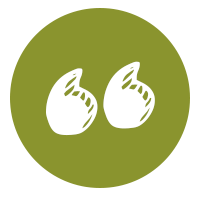 We foster and encourage risk-taking, listening, speaking, reading and writing skills in the language. We use a variety of sources/learning tools in instruction and Westridge students take advantage of the plethora of resources and possibilities available through digital media and technology. By the end of their 6th Grade year, girls have had the opportunity to create mini-educational videos about sea otters, learn about currency, describe what they’re wearing, order food, play authentic Spanish handclapping games, learn about and sample Mexican candy, play board games and soccer in the target language. We recognize the importance of artistic development in upper elementary girls and focus our program on artistic expression and technique. 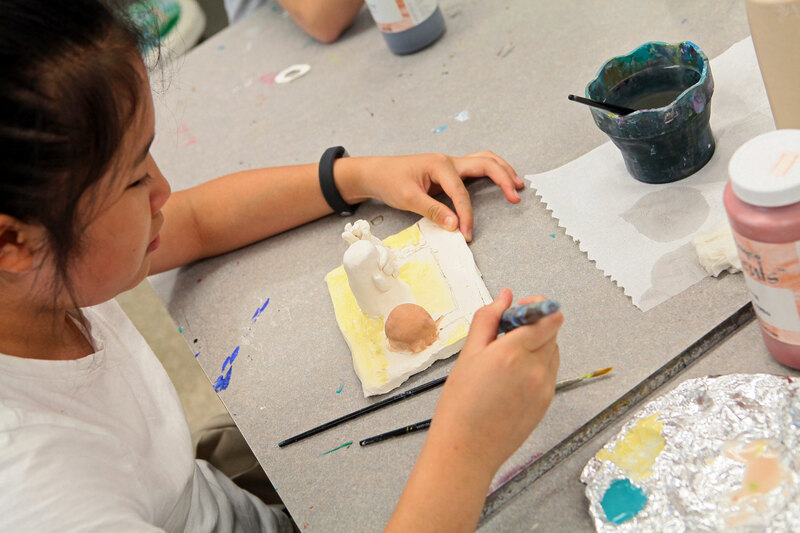 Art classes in drawing, painting, ceramics and mixed media are featured in 4th through 6th grades. At the heart of the arts program is our commitment to help our student understand the creative process and help her develop a lifelong appreciation of the arts. The Lower School performing arts program provides opportunities for our students to build a musical foundation. The performing arts program emphasizes choral music in all three grades, beginning with chorus in the 4th grade, where girls learn to appreciate various musical styles and cultures while learning important choral music concepts. 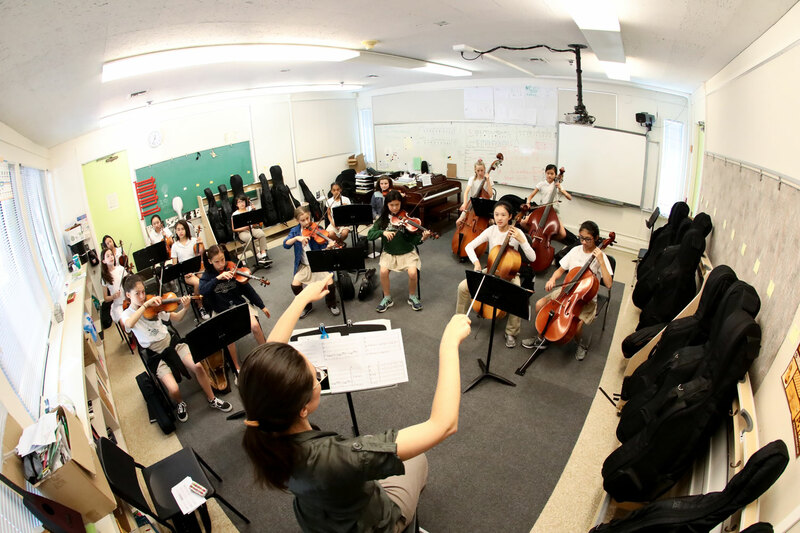 String instruments and participation in Lower School Strings are added in 5th and 6th Grades; Lower School Strings helps students of all levels develop the technique and skills for playing a stringed instrument (violin, viola, cello or double bass). Students have several choral performance opportunities throughout the school year; in May, Lower School students culminate their year in chorus and strings at our annual Spring Concert. 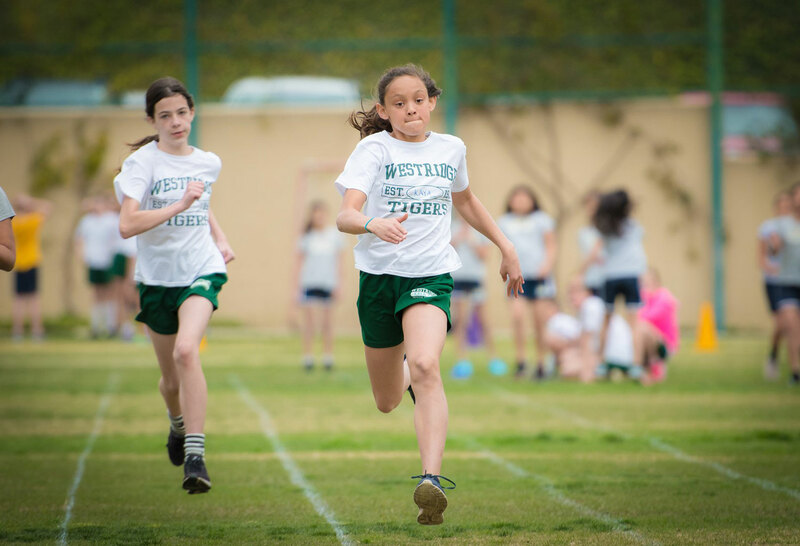 Girls engage in daily Physical Education at Westridge because we know that exercise boosts brainpower and improves student learning. The Physical Education program provides the knowledge, skills and motivation girls need for a lifetime of health and fitness. Physical educators plan organized activities within lessons that are designed for girls to develop basic tracking and motor skills, hand-eye and foot-eye coordination. We introduce students to the fundamentals of traditional sports as well as cooperative games and activities with an emphasis on the importance of cardiorespiratory fitness. Students in 6th Grade may participate in one-day interscholastic competitions for Volleyball, Soccer, Basketball and Track and Field. By the time girls enter Middle School, they have learned the importance of team work, playing fairly, and how to win gracefully. Lower School students take part in a number of exciting trips throughout the year. From art class visits to the Norton Simon Museum and Los Angeles County Museum of Art, to Spanish class tours of Olvera Street, field trips are an important part of our experiential and project-based curriculum. During "Experiential Week" in the spring, girls participate in a variety of activities that engage their hearts, minds and souls. 4th graders travel by train to San Diego for an interactive, hands-on learning day focused on early California history and science. 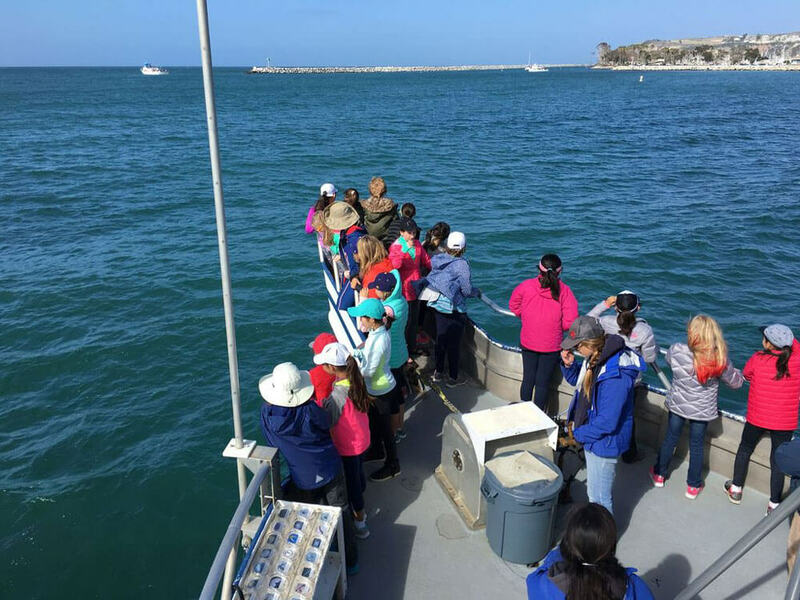 5th graders take a two-day trip to Catalina Island to learn about marine biology in labs on land and at sea. 6th graders culminate a month-long history and math service learning project, where they interact with and donate their profits to local nonprofit agencies. The entire week is culminated with a talent show, where girls share their performance skills with their peers. The Lower School’s service learning program provides a meaningful context for community service. Students participate in service learning opportunities as a part of their course of study, through various grade and school events. In 5th Grade, students complete the Think Care Act Project (TCAP) in which students study a cause or issue that is important to them and take action to support it. TCAP culminates in a presentation on their chosen subject at the end of the year. In 6th Grade, students lead the Baking A Better World fundraiser, an interdisciplinary project that uses 3D printing technology to create social awareness; students design cookie cutters in our STEAMWork Design Studio, and sell them along with baked goods to raise funds for local charities. 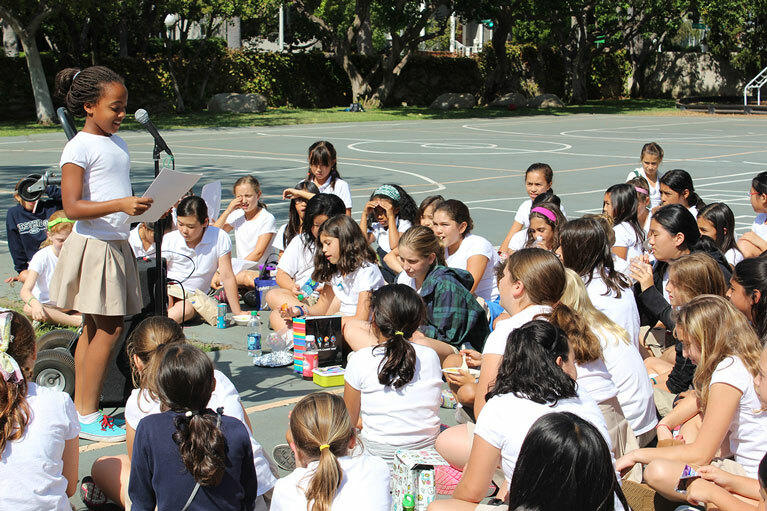 The Student Activities and Leadership Council (SALC) offers Lower School girls the opportunity for leadership. Girls may apply to be part of the program during the first or second semester of school. The leadership program teaches girls how the board of a non-profit or charitable organization works. 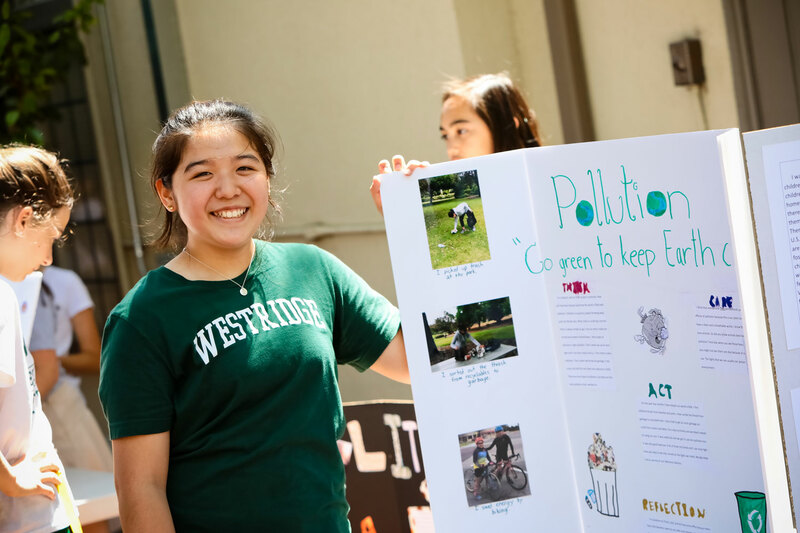 SALC members meet to organize activities and assemblies for the Lower School, including the annual "Petridge" School for Animals event, which raises funds for the Pasadena Humane Society and other animal shelters and rescue centers. 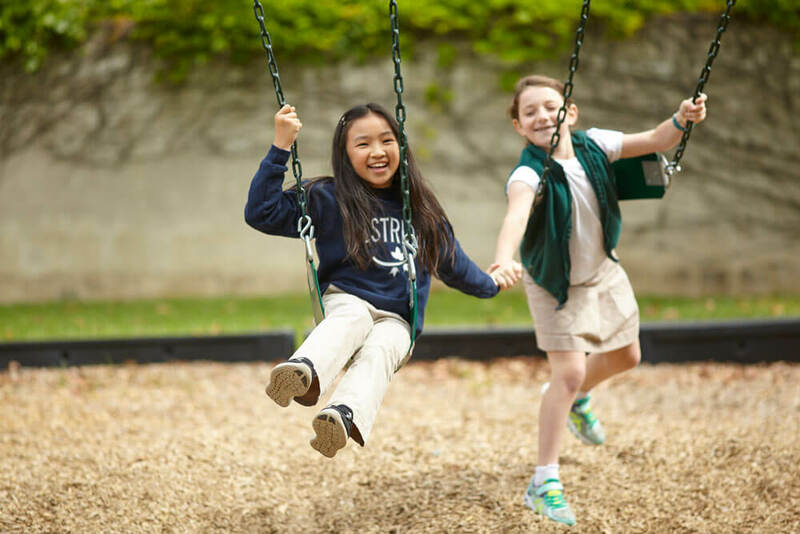 Holding leadership positions gives girls an opportunity to work with the Lower School Office, Admissions Office, Advancement Office, Spyglass (our student newspaper), and Upper School students through the Associated Student Body (student government). Council is the Lower School’s human development class. It is a non-graded discussion and activity-based program that covers how to be a friend, conflict resolution, health and wellness, puberty and organizational skills. 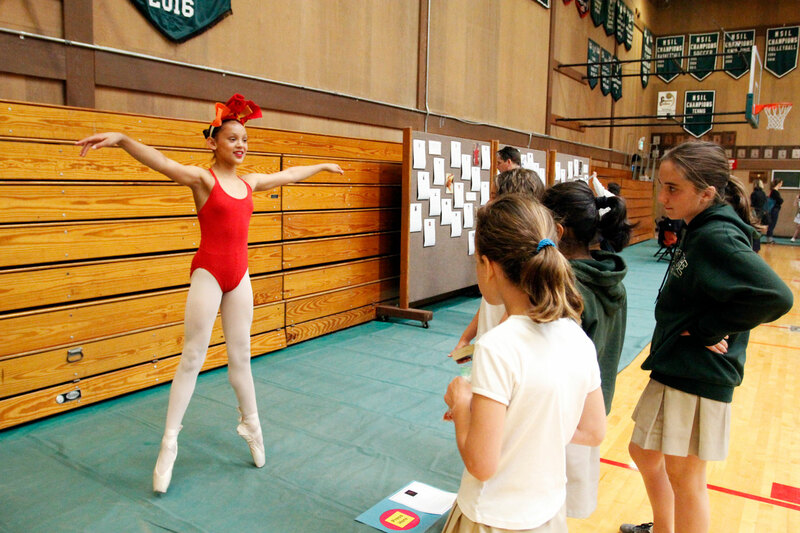 The program complements the Lower School’s strong academic curriculum. In this class, girls learn to appreciate time in a group setting with two teachers and their peers. Students experience a sense of belonging and develop sensitivity for others. Council fosters the skills of deep listening, listening without judging, and storytelling. Childcare for the After School Program during the 2018-19 school year is supervised by the CEC (Child Educational Center). This program is for students in grades 4-8 and runs from dismissal until 6:00 p.m. Students are able to stay on campus and play with friends, do school work (supervised program for both the Lower and Middle School), collaborate on projects, and participate in activities and clubs facilitated by the CEC. This extra time helps create a sense of belonging for the girls, an awareness that this campus is a special place just for them. Students may stay as long or as little as they like until 6:00 p.m., and they may stay however many days Monday – Friday that they like. The cost of the program for the 2018-19 school year is $1000, which may be paid by the semester - $500 by June 30 and then $500 by November 15th. If you would like to enroll your child, please pay online. Should you have any questions, don’t hesitate to contact us. 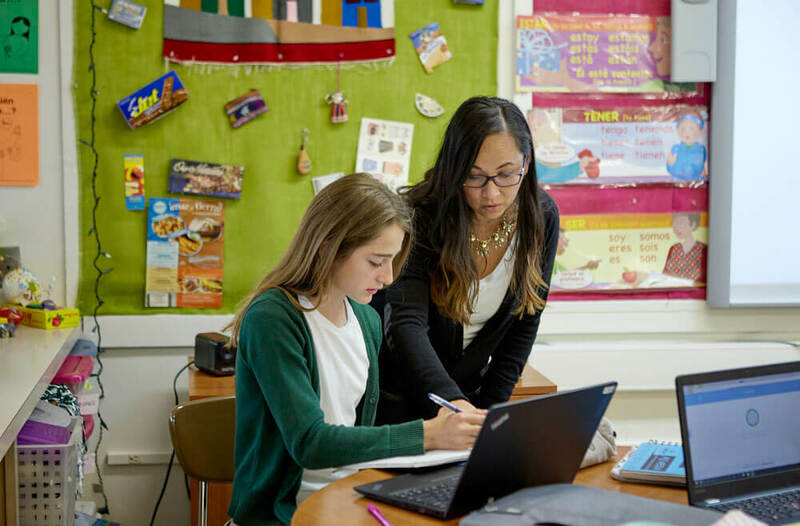 View the 2018-2019 Catalogue of Courses for Lower School.